Beyonce seems to be enjoying her time off which is well deserved for the hard working singer. She served up another stylish look which she posted on her instagram last night(October 9th). 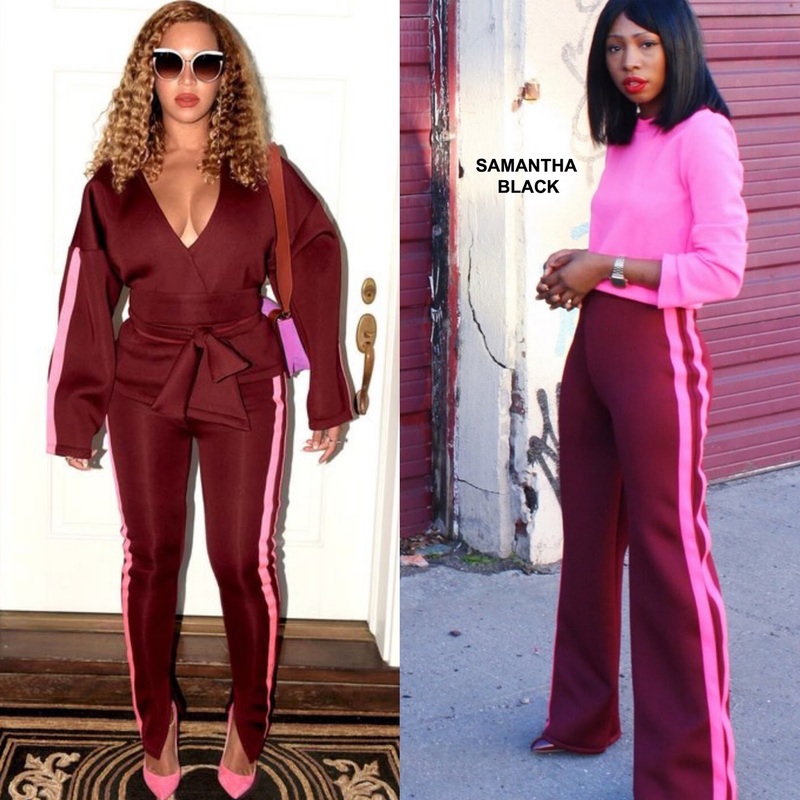 She posed for the gram wearing a SAMMY B DESIGNS BY SAMANTHA BLACK ensemble which featured the burgundy & pink stripe 'Flatbush' wrap jacket and the matching 'Tony Pop' skinny pants. While I don't like the sleeves on the jacket, I really do like this ensemble in general. Especially the color combinations. GUCCI earrings, a CELINE bag, CHRISTIAN LOUBOUTIN pink suede pumps, side parted crimped waves and dark sunglasses finished up her look. Are you feeling Bey's instagram style on this occasion?